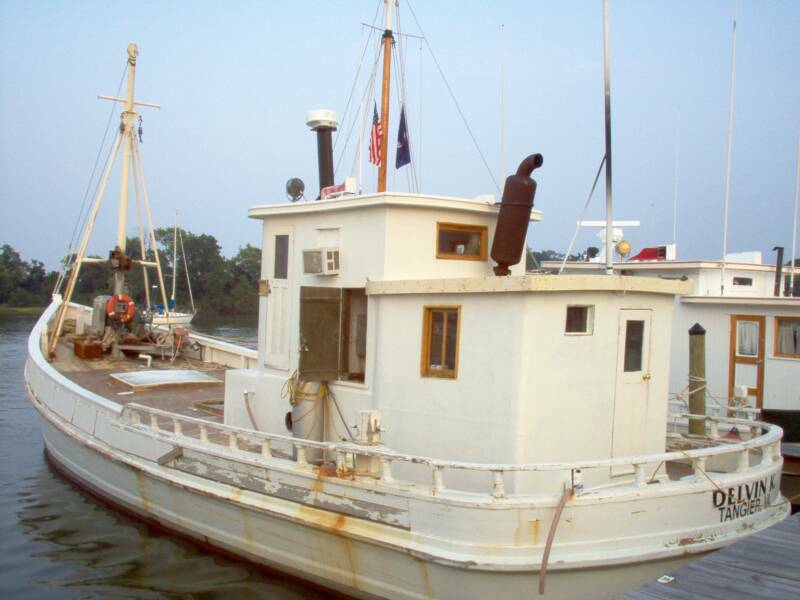 Delvin K's home port is Tangier Island, Virginia. The Devlin K is still in use on the bay for oysters. Jerry Pruitt hauls shell by the bushel for the state. The Delvin K holds 1,400 bushels, and he is one of the few left on the bay who can still work with oysters.